This is based off the book called Daughter of the Forest by Juliet Marillier. 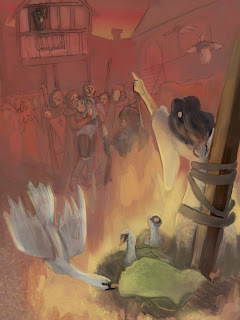 The overall story is lossely based off the tale '6 swans' that came from Ireland. I chose to illustrate the climax.